Donating blood at least once a year has been found to lower the risk of heart problems such as a heart attack because it helps lower the blood’s viscosity so that there is more room for blood flow. Research also shows that it lowers the average total cholesterol, iron stores, and low-density lipoprotein cholesterol (also known as the “bad” cholesterol), which all protect against cardiovascular disease. Research reports that the risk of cancer was lowered blood donors with medical conditions including hemochromatosis and peripheral arterial disease (PAD). They found the risk to be lowered particularly to cancers linked to high iron levels, including liver, colon, lung, esophageal, and stomach cancer. Increased iron levels in the body can lead to iron storage in organs such as the heart, liver and pancreas. As a result, the risk of cirrhosis, liver failure, damage to the pancreas, and heart problems increase. By donating blood, this helps maintain iron levels and reduce the risks of damage to vital organs. Plus, donating bleed has also been found to lower inflammatory markers according to a 2016 study. Before donating blood you’ll receive a free health screening, which although doesn’t equate to your regular primary care visit, it can still help you keep an eye on your blood pressure, body temperature, pulse, and hemoglobin levels. This way you can detect any discrepancies that may need attention to ensure a healthy body. Your blood will also be tested for several diseases including hepatitis B and C, HIV, West Nile Virus and more. Once you’ve donated blood the body begins to produce new blood cells to compensate for the blood loss, which helps maintain good health. 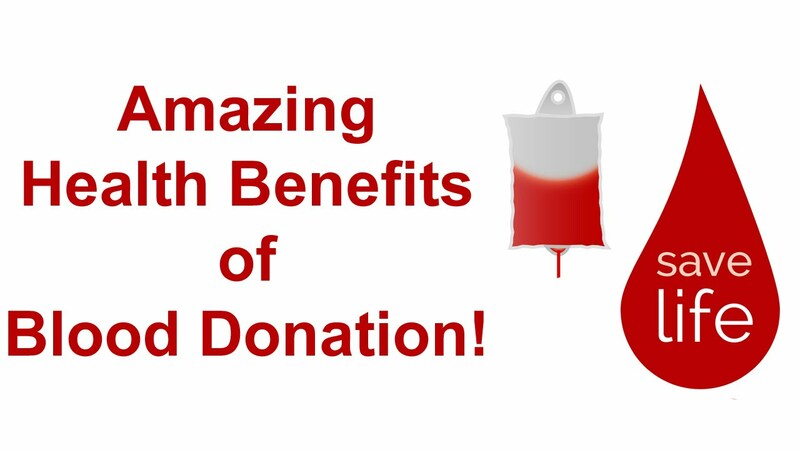 With all of these benefits in mind, we hope that you will join us at our upcoming community blood donation drive with the American Red Cross and the Wellesley Community Center. Sign up online by going to www.RedCrossBlood.org and enter: WellesleyDental or you can call the office and we will be happy to help your register! The American Red Cross notes that even 1 donation can save up to 3 lives. At our upcoming blood drive we are aiming to help thousands of people in need, and you can benefit too! We invite you to attend and are looking forward to seeing you there! The caring team at Wellesley Dental Group will be happy to answer any questions you may have. Contact us today at 781-237-9071 or smile@wellesleydentalgroup.com. Be sure to also follow us on Facebook, Twitter, and LinkedIn.